Leslie Griffiths spent the first ten years of his career as a Methodist minister in Haiti, returning to London in 1980. 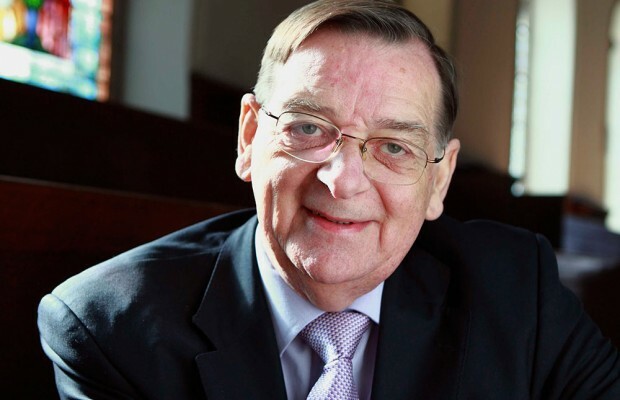 In the mid-1980s he became superintendent of the West London Mission where he met Donald Soper who was still very active, despite officially having retired. 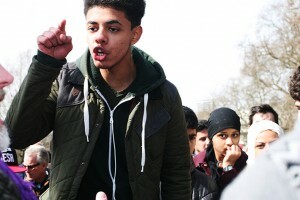 Leslie first went to Speakers’ Corner under the joking pretext that if Donald was “guilty of any heresy,” the superintendent should know about it. 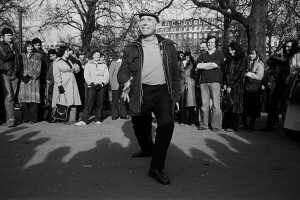 Leslie experienced Speakers’ Corner as a “marketplace for ideas” and he occasionally “stood in” for the big man on his platform. 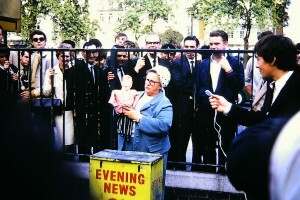 He saw open air oratory as an opportunity to communicate with as wide an audience as possible. 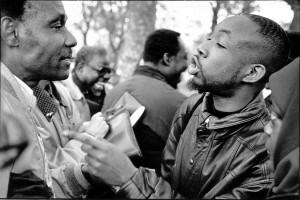 He took Donald’s advice: “When you’re up there on the stand, look as if you’re enjoying it, because if you don’t, the British public will let you suffer on your own.” Leslie enjoyed “the cut and thrust” of Speakers’ Corner and wishes that church congregations would interject with questions or constructive heckles.